Who are the best students when God is the teacher? In the past month, I have been meditating on the idea of awe and reverence. A spiritual audit I took in early November asked the question, “Have I maintained a genuine awe of God?” I realized that this was a weak area of mine, and I decided to take a month to reflect on different Bible verses that spoke about awe of God. One of my last meditations was on the passage from Hebrews 5:7-10 which speaks of Jesus’ reverence for his Heavenly Father. Yes, Jesus, though he was God Himself, had a deep reverence for his Father in heaven, a reverence that enabled him to be a great student. In an earlier post on the value of crucible experiences, I noted how the suffering that Jesus endured, probably referring to his crucible experience in the Garden of Gethsemane, was used by God to perfect him (Heb 2:10). Although Jesus was not disobedient prior to his suffering, he learned about the cost of obedience from his suffering. In a later chapter, the writer of Hebrews goes on to talk about “the joy set before him” that motivated Jesus to persevere through his suffering (Heb 12:1-2). Jesus learned that submitting to the Father’s will and pleasing Him is worth it all, even to the point of suffering excruciating pain and rejection. But from Heb 5:7-10, we see that Jesus not only learned something from his suffering, he was the perfect student. He learned everything that was possible to be learned in this crucible experience. He didn’t just pass the test. In fact, he didn’t just get an “A”; he received a perfect score on the exam. How come Jesus did so well when confronted with such a severe test? He fervently asked for help, expressing his full dependence on God, rather than relying on His own resources. But the secret of his amazing success in the toughest exam we can imagine is more than his dependence, as important as that is. I think we also have to look at the last half of Hebrews 5:7 where it talks about Jesus’ reverence. The Greek word is εὐλάβεια which the NIV translates as “reverent submission” and the ESV as simply “reverence”. The writer of Hebrews says that Jesus’ prayers were heeded by his Father because of his reverent submission. He submitted in reverent awe before the One whose will he was determined to follow, praying, “Father, if you are willing, take this cup from me; yet not my will, but yours be done.” (Luke 22:42) The Father heard those prayers, but that did not mean that the Father rescued Christ from his suffering. Rather, the Father heard his Son’s heart cry in his reverent submission. He knew that Jesus’ greatest desire and greatest joy was to please him and accomplish the work the Father had given him — to reconcile fallen men and women to God. So instead of taking the cup away, the Father did what Jesus really wanted – he sustained his Son through the suffering, and helped him learn whatever else he still needed to learn in order to become perfect. Because of his reverent submission, Christ did not insist on escaping the pain but persevered to the end. He could have called for 12 legions of angels to rescue him (Matt 26:53), but he didn’t. 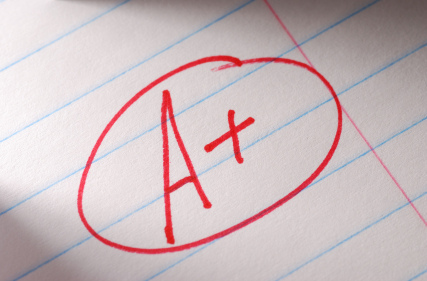 Good students often are given exemptions from final exams at the end of the term. Jesus could have asked for and would have been given an exemption to this exam. He didn’t. He sat through it and answered every question perfectly. He stayed to the end. He drank the bitter cup to the bottom. And so he learned everything that he could possibly learn, and consequently he emerged as a perfect Saviour and High Priest. As his reward, he became the source of eternal salvation for all who obey him. He learned obedience in reverent submission through the suffering, and now He is the Lord whom we obey and to whom we bow in reverent submission. Based on Jesus example, I wonder if there is not a strong correlation between those who have a growing reverence and awe for God and those who gain the greatest benefit from the tough times, the crucible experiences that God puts us through. Proverbs would seem to support this idea when it says: “The fear of the Lord is the beginning of wisdom, and knowledge of the Holy One is understanding.” (Prov 9:10). It seems to me that those who maintain a genuine awe should be and are the best students in Christ’s discipleship school. Would you agree? I am not sure I fully understand all the reasons yet. Is it because a reverent fear of God allows us to focus on what God is teaching us in the crucible rather than complaining about the discomfort and searching for every possible way to escape the hardship? Is it because a genuine awe of God gives us a longing to see God’s glory and hence we are tuned to seek God’s sovereign purposes in this world? If an attitude of awe and reverence is so critical to being good lifelong learners, then how can we cultivate and develop that mindset? Any thoughts and ideas?